Leading independent oil company Phoenix Petroleum launches today its upgraded fuels powered with Phoenix PULSE Technology. Available in all its fuel products, Phoenix PULSE Technology is an innovative formulation with advanced cleaning and protection properties for enhanced power and acceleration. It is made with cutting-edge fuel technology by world-class fuel experts, exclusively for homegrown brand, Phoenix Petroleum. Phoenix PULSE Technology was launched in time for Valentine’s Day as it aims to bring pulse-racing excitement to Filipino drivers by giving more life to their everyday drive. The upgraded fuel products promise three main benefits. It avoids fuel filter blockage in diesel-powered vehicles, removes deposits from fuel injectors, valves, and piston surfaces, and provides engine protection. Phoenix PULSE Technology also helps result to better fuel economy when used continuously. “The launch of Phoenix PULSE Technology is in fulfillment of our goal to be the most credible alternative to the major brands. We enhanced our fuel products and improved our formulation not only to be able to compete with bigger players in the oil industry, but more importantly, to add value to every peso fueled up at Phoenix,” said Phoenix Petroleum Chief Operating Officer Henry Fadullon. 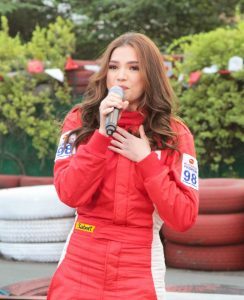 Young actress Rhian Ramos is the face of Phoenix PULSE Technology—an apt choice as Rhian represents adventure and high-energy sports such as car racing. “Phoenix Petroleum’s PULSE Technology-powered fuel is the perfect fit for me as I’m always on the go. I like adventure and living life with excitement and to the fullest, which is why I recommend Phoenix to every millennial who, like me, likes to get more for what they pay for,” said Rhian. In just 15 years, Phoenix Petroleum has grown from five stations in Mindanao to 530 nationwide, establishing its reputation as the fastest-growing oil company in the Philippines. Just last year, the company broadened its portfolio to include LPG with the acquisition of Petronas Energy Philippines, Inc., now Phoenix LPG Philippines, Inc., and convenience retailing with the purchase of Philippine Family Mart. It will soon venture into the bitumen business. “As a homegrown brand, we aim to be the Filipinos’ top choice not only for their fuel needs, but also for fueling their dreams and aspirations. We work hard and continue to grow our business not only so we can bring our vision of being an indispensable partner to life, but also because as the next generation company, we want to provide this generation with the best products and services at the best value,” said Phoenix Petroleum President and CEO Dennis Uy. Phoenix PULSE Technology is available in all Phoenix stations in all fuel grades. These next-generation fuels are suitable for Filipino drivers looking for a connection unlike any other. Drive to the nearest Phoenix Petroleum station now to experience Phoenix PULSE Technology. Phoenix Petroleum Management Team led by Chairman Domingo Uy and COO Henry Albert Fadullon reveal the company’s newest offering for motorists, the Phoenix PULSE Technology, in a media event at City Kart Makati on February 12, 2018. They are joined by the face of Phoenix PULSE Technology, actress and car racer Rhian Ramos.